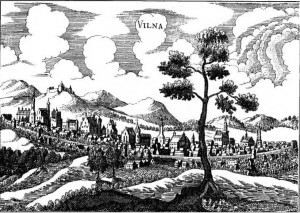 WHE THE BAJORAI ESTABLISHED A SOCIETY IN VILNIUS several years ago, the announcement was generally met with a fair measure of genuine surprise. Most everyone believed that, given the long record of assimilation, waves of deportation, and the generations lost through war, the bajorai had become extinct or had otherwise disappeared from the scene. As we shall see, all assumptions about their demise are unfounded and premature. The bajorai are inseparable from Lithuania’s history. They manned its army and defended the country for centuries. They supplied the civil servants and teachers, staffed the administrative, governmental, and religious network. 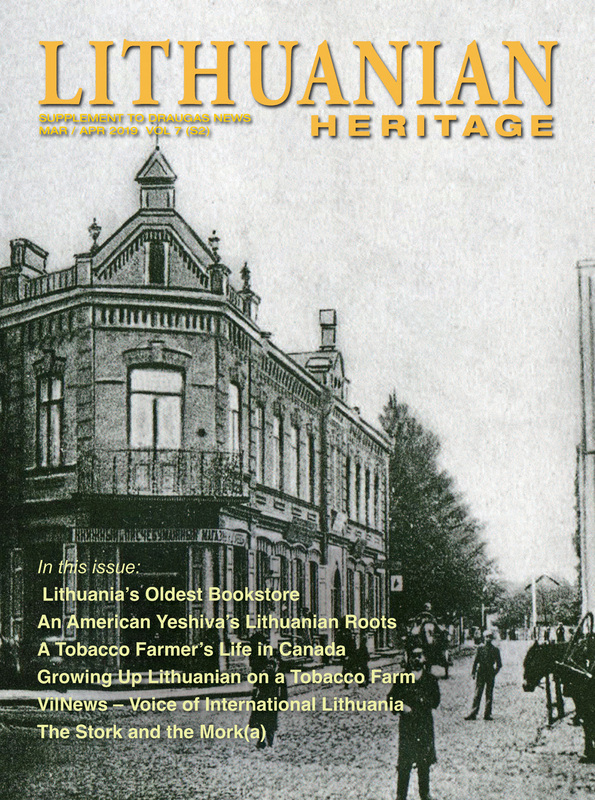 The wealthiest ones financed the cultural and artistic legacy that everyone of Lithuanian descent now holds dear as their inalienable patrimony. Despite their undeniable importance, the bajorai are only now beginning to receive even-handed, impartial treatment. During fifty years of Soviet rule they were grossly misrepresented. History books were filled with egregious errors, omissions, and distortions. One read that the bajorai were nothing more than a self-serving class of exploiters, about whom nothing positive could possibly be said. While the publications of pre-World War II independent Lithuania were fairer by far, nonetheless, it can be said that the official line begrudged the bajorai. Considered completely “polonized,” the entire class tended to be presented reluctantly, its achievements downplayed. Today, a new generation of historians is challenging and correcting the old stereotypes. Starting about a decade ago, a spate of articles, exhibitions, and specialized studies began to reconsider the bajorai. 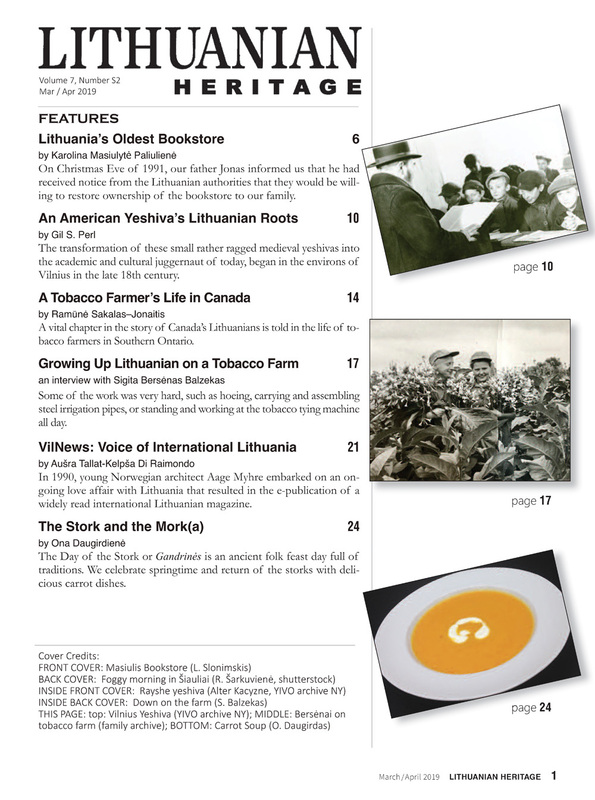 These publications heartened everyone interested in Lithuanian history. Although full justice to all the new material is impossible in this brief article, nonetheless, a fresher sketch can be attempted, encouraging our readers to take another look at matters once considered settled. Let us start by glancing at the word itself. Originating in Turkic and Tartar languages, bajar originally meant a skilled and trusted soldier. In Old Russian boiaren referred to a warrior and/or a noble of the highest rank, usually of Muscovy’s old aristocratic order. When the word entered Lithuanian through Russian centuries ago, the term’s military connections remained intact. Today, a bajoras is generally taken to mean a privileged landowner. The old military connotations have so weakened that many using the term today are totally unaware that a bajoras5 status, rights, and property were all derived from obligatory service in the armed forces of medieval Lithuania. Although archeological evidence clearly indicates social stratification in prehistoric times, little is known about the earliest Lithuanian warrior elite, who or how they ruled, or the extent of their domains. The earliest surviving written records show that a hierarchical society was already long in place; its leadership, well-defined. The Volynian (or Ipatiev) Chronicle, dated 1219, reported a treaty between the Russians and twenty Lithuanian princes and dukes, plus one duchess. O f this group, five clan leaders from Aukštaitija were accorded higher status by the others. Led by Zivinbudas, Daujotas, Vilikaila, and the sons of Ringaudas, these five clans would subsequently compete for the country’s supreme office. The other clan leaders were subordinate and, for the most part, neither they nor their descendants aspired to leadership. When they rarely did, they were usually executed. Mindaugas was mentioned in this treaty, but not in a dominant role. It took him several decades to attain supremacy. His primacy was formally recognized in 1253 when Bishop Heinrich, the pope’s representative, crowned him king. Mindaugas expanded and consolidated his leadership through marriage, murder, and military conquest. After ruling for a decade, he was assassinated. The next three to occupy the throne were also cut down. The blood-letting abated under Traidenis in the 1270s and was brought under control in the 1290s by Vytenis, a clan leader from Aukštaitija. He put down the rebellious nobles and ruled for about twenty years, shaping the structure and policies of the emerging state. Vytenis’ only mistake, as the historian of medieval Lithuania S. C. Rowell put it, was to die without sons to succeed him. His younger brother Gediminas was far more fortunate: his descendants were to rule Lithuania and Poland for the next two centuries and then some. 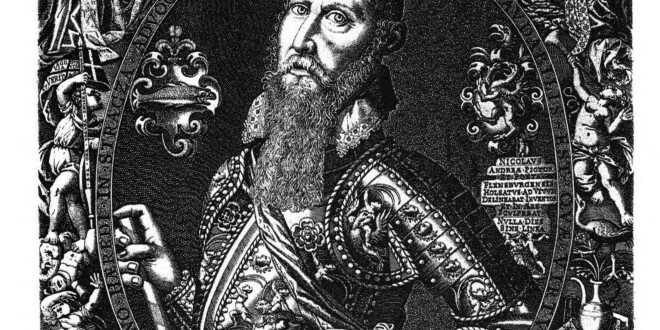 During his quartercentury long reign Gediminas consolidated the achievements of his predecessors. He made astute military and trade alliances, solicited foreign know-how when needed, founded new settlements by enlightened tax policies, and conducted a sophisticated foreign policy. He granted hereditary property rights, but would withdraw them as he saw fit. No one outside Gediminas’ immediate clan contested his hold on the throne. Clearly in charge until his death in 1341, he sent off his kin to rule the distant holdings. Sometimes he took advice about foreign affairs from his sons and friends, “siner kindere unde alle siner boyarlen” in the words of a German chronicler. At this time, the bajorai are also mentioned for constructing bridges, roads, fortifications, and saddling up for war at Gediminas’ behest. Evidently, the word then referred to common soldiers as well as to nobles of the highest rank. 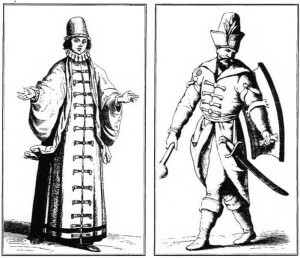 Like the grand dukes before and after, Gediminas knew where to draw the line. While the highest bajorai might be consulted, their marriage into the ruling family was not encouraged. Instead, lateral marital alliances were sought with the princes and dukes in neighboring realms. Consequently, many royals and aristocrats living today have Gediminids in their ancestral lineages. Medieval Lithuania was immense. Stretching from the Baltic to the Black Sea, it included present-day Ukraine and Belarus, their populations constituting the majority. In this vast land the ethnic Lithuanians were about a fourth of the total, variously estimated between two and four million. Later, when the Lithuanian-Polish Commonwealth was created, the Lithuanian proportion fell to about ten percent. O f the eight or so million in the Commonwealth in 1795, Tartars were 100,000 strong, Jews numbered approximately 700,000. Large communities of Moslems, Germans, Armenians, and Cossacks also considered the Grand Duchy their home. The religious spectrum included Catholicism, Calvinism, Islam, Judaism, Lutheranism, Orthodoxy, and Uniate. The bajorai drew manpower from every ethnic group in the realm. As for languages, it was a polyglot mosaic of diverse tongues, arising from the geographic, military, demographic, and commercial realities of the time. At the end of the 14th century, for example,Vytautas and Jogaila spoke to each other privately in Lithuanian. In Cracow, they needed Polish for public affairs; in Prussia, Latin and German when dealing with the Teutonic Knights. Lithuania’s chancery in Vilnius used Latin for its diplomatic correspondence with European states, Belarusan for communicating with Muscovy. The various editions of the Lithuanian Statute (the Grand Duchy’s law codes) were also in Belarusan. For one thing, it was necessary to establish continuity with the legal legacy of old Kievan Rus, long under Lithuanian rule; for another, most of the Grand Duchy’s population used that language. While commerce passing through the ports of Riga, Memel, Koenigsberg, and Danzig demanded German, trade with Scandinavia required Danish and/or Swedish. The Tartars wrote their religious works, documents, and manuals in Arabic. Legal agreements in the Armenian and Jewish communities were recorded in their respective languages and scripts. Clerics and students mastered Latin. Those pursuing higher education in Cracow, Koenigsberg, Prague, Leiden, Paris, or Padua acquired the local language as well. Latin and Polish became the official languages of the Grand Duchy in 1697. During the following century Polish gained ascendancy while the use of Latin declined. Knowledge of French increased. After absorption into the empire of the czars in 1795, Russian came to the fore. But, as the 1897 census of the Russian Empire so clearly reveals, discourse with officialdom was one thing; talk in private life, another. Of the 160,000 bajorai living within the former Grand Duchy, almost 40,000 spoke Lithuanian at home. The percentage was little changed from medieval times. However, these numbers were not uniform throughout the land; they varied considerably from district to district. In the vicinity of Vilnius, Panevežys, and eastern Šiauliai, ethnic Lithuanian bajorai exceeded twenty percent; around Kaunas, ten percent. Elsewhere, the percentages fell to single figures. But in Samogitia, two thirds of the bajorai stated they were Lithuanians or Samogitians, and, thus, increased the general percentage. Although East Prussia fell outside the 1897 census boundaries, we should give it some richly-deserved attention. It is noteworthy that in the 18th century some Prussian army units customarily issued their commands in Lithuanian. Also, well into the 19th century the royal edicts sent to East Prussia were not in German but in Lithuanian. The linguistic strength of this region may be further gauged by book-publishing statistics. From 1547 to 1800 some five hundred books had been printed in the Lithuanian language. While the Grand Duchy produced two hundred, East Prussia issued three hundred plus. Lithuanian literacy of the bajorai in East Prussia doubtlessly helped to sustain patriotic sentiments in adjacent Samogitia. The wealth of the bajorai varied enormously. Many were poorer than church mice; a few, stupendously rich. Power and wealth was concentrated at the topmost levels, but no single clan or ethnic group held an undisputed monopoly of political or economic might. If the Kesgaila, Radvilas, Goštautas, and Astikas were the strongest families among the Lithuanians in the 16th century, their high state was precarious. In the next century the Pac and the Oginskis emerged as major players. 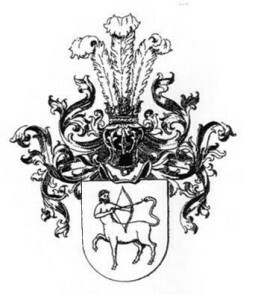 The Glinskis family of Tartar origin; the Sapieha, Hlebavicius, Kostkevicius, and Lukomskis clans from Belarus; the Chodkevicius, Czartoryškis, Palubinskas, and Ostrogiškis families from the Ukraine were only some of the potential rivals. Fortunes could rise and fall without warning. Besides peace and the favor of the king, a bajoras still needed health, a lucky marriage, and offspring to survive him. Even in the best of times, families could simply die out. Bajorai generally disdained titles. Since all had proven their valor in battle, all were theoretically equal. Nevertheless, who could possibly deny ancestors as illustrious as Gediminas or Riurik, the legendary founder of Russia? 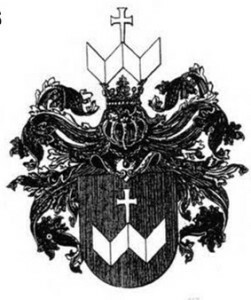 Accordingly, some families bearing the names of Czartoryškis, Giedraitis, Glinskis, Masalskis, Puzinas, and Sanguška were born dukes and princes. The forefathers of these aristocratic families had each in their own way helped to create and define the Grand Duchy. Their titles and ancestral estates were birthrights no one could or would contest. Grafs constituted the next level of titled Lithuanian families. Equivalent to earls and counts in English usage, the title of graf was usually bestowed by foreign fonts of honor. 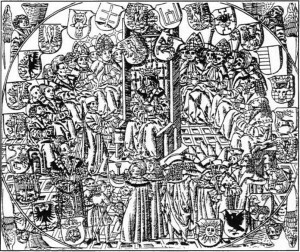 In the 16th century, the Holy Roman Emperor so honored Oginskis and Chodkevicius, while the Diet of the Polish-Lithuanian Commonwealth granted the title to Tiškevicius. Thereafter, entitlements were few and far between for Lithuanian bajorai. 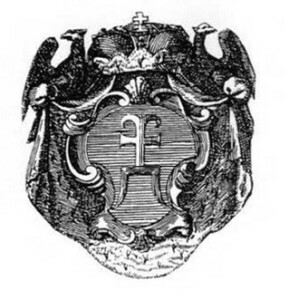 The Plateris and Zubovas families were the next to be so honored and this occurred only in the 18th century when the Grand Duchy of Lithuania was under czarist rule. It must be borne in mind that titles were once a fact of life and an indispensable part of traditional international relations. An emissary’s wealth and status in Poland or Lithuania meant very little in the courts and aristocratic circles of Europe. Untitled envoys would have been persons of negligible consequence. Titles, on the other hand, established their rank and place in the larger scheme of things. Smoothing etiquette and protocol, titles facilitated negotiations among equals and the general conduct of diplomacy. A wealthy city merchant could become a bajoras with the help of influential noble sponsors plus, of course, a hefty contribution to the royal purse. One proviso: the merchant had to give up his trade and become a landowner by purchasing a sizable estate. The Lithuanian Statue forbade the bajorai from practicing professions or engaging in business. The same attitude was deeply-held and widespread throughout Europe. English gentlemen, for instance, sought to live decently without any visible means of support. The hidalgos of Spain furnish another, more extreme, example. Practicing a trade or engaging in business would have jeopardized both status and title, so instead of work, the impoverished ones among them chose to beg. The poorest bajorai owned small plots of land, if they owned any at all. Living in abject poverty like the peasants and serfs around them, they differed only by having full legal rights and real possibilities for upward social mobility. Their daughters could be married off; their sons could become overseers on larger estates. With some education, they could enter the church, the legal profession, or the state bureaucracy. If a bajoras owned one to ten villages, his prospects increased markedly; if he owned ten to twenty, he was economically and socially secure. The wealthiest possessed two dozen villages or more. A handful of magnates (ten to twenty families in the Commonwealth during any given generation) were a category unto themselves. They owned thousands of serfs, dozens of towns, kept up their own princely courts, and maintained private armies.